Spirituality leads to resilience and to a balanced life. Making this process a normal part of children’s lives helps them find purpose and meaning in life. At First Congregational Church, we are committed to this process. The education of our children and youth is a sacred mission. We ground them in the certainty that they are God’s beloved children helping them form a solid sense of identity and place in the universe. Indoctrination, creeds or quick answers are avoided. Questions and diversity of viewpoints are encouraged. We teach the universality of God’s love for humanity and all of God’s creation. The foundational stories of our faith, from both the old and new testaments of the Bible, contain timeless wisdom about how to relate to God and to each other. These stories teach lessons that make lives more fulfilling. The wonderful diversity of families at our church brings a sensitivity and awareness to our programs, as we welcome all kinds of families. Regardless of race, country of origin, language, gender identity, adopted, or fostered, we we are all one in the unconditional love of God. Toddlers learn church is a loving and fun place. Pre and K discover seasonal stories of our faith. Elementary schoolers learn Biblical stories through art, drama, cooking and storytelling. Middle schoolers study Jesus and the Kingdom of equals. 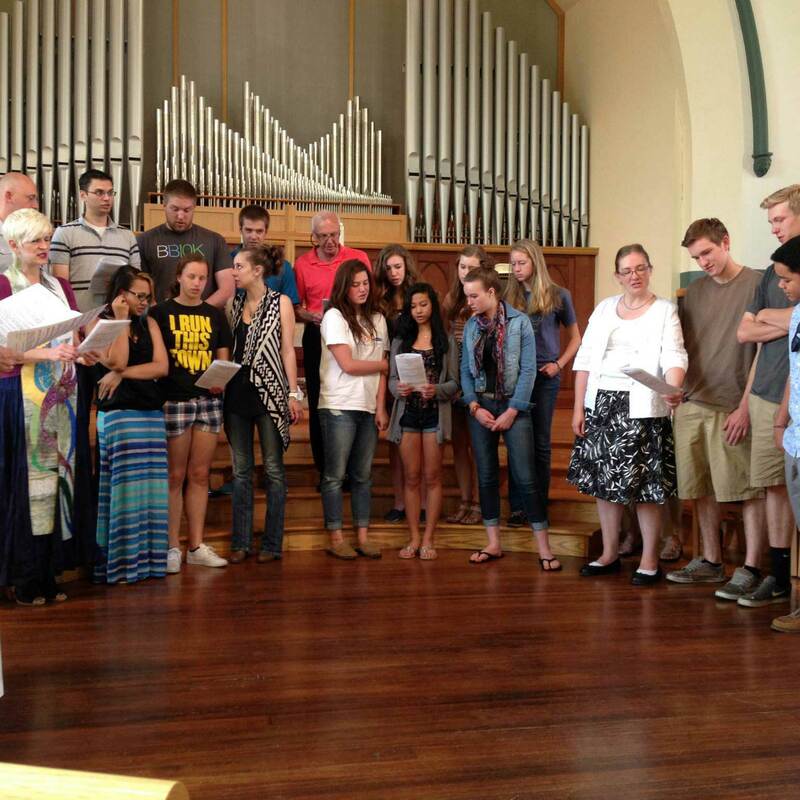 Questformation students learn about First Congregational of Boulder, the wider United Church of Christ, and the Church Universal. 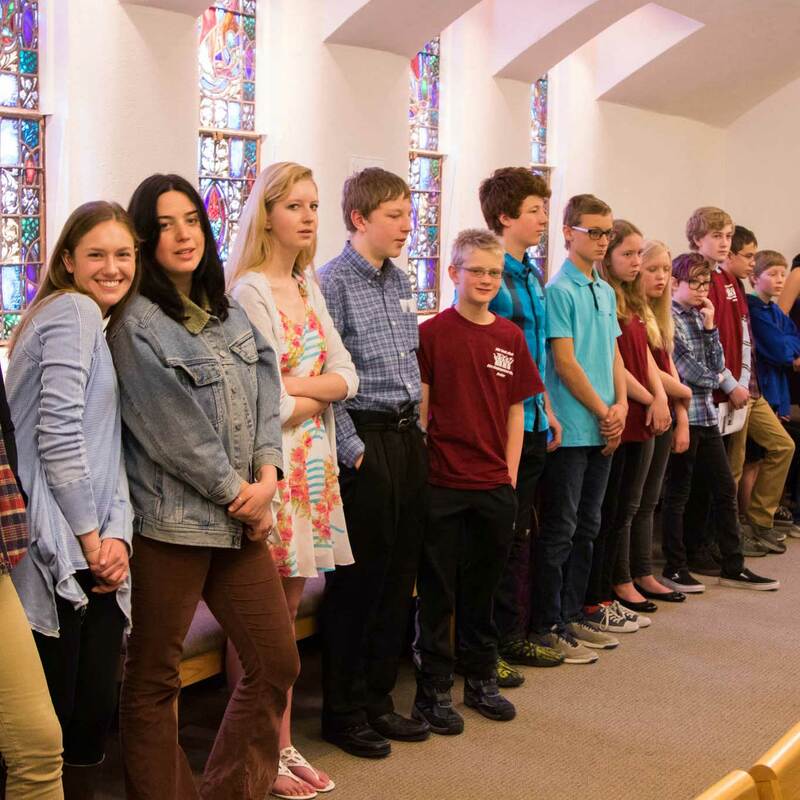 High schoolers learn life applications of Jesus’ teachings. 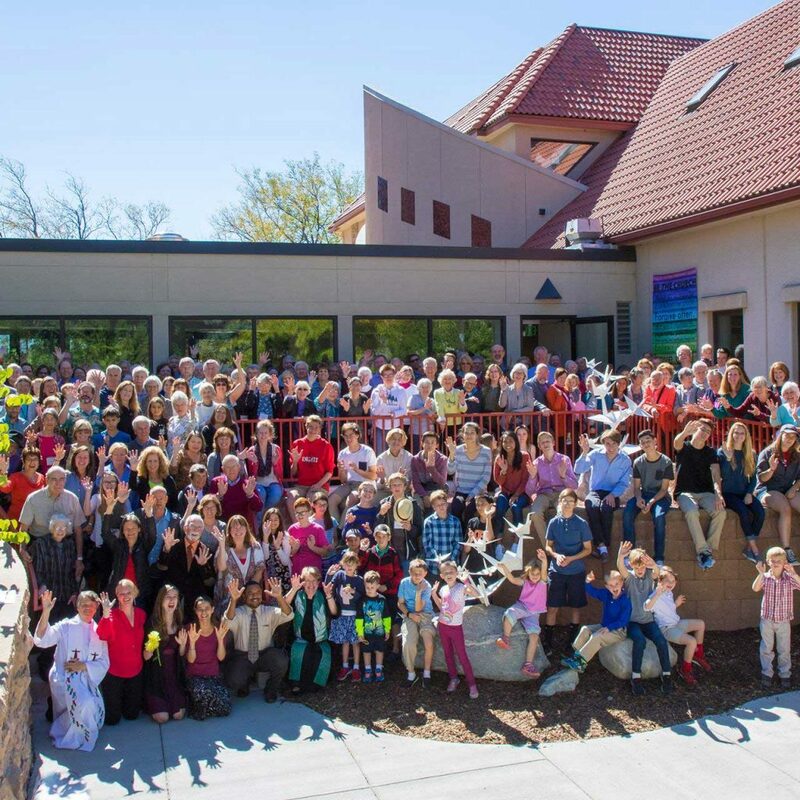 Everyone participates in monthly service projects, Communion Sundays and special Family Services. Summer ARTS Camp, Confirmation Retreat and Sr High Work Camps provide fertile soil for deep relationships. We welcome any questions you might have. Better still, come visit us. Our Infant/Toddler Room is a place to play and to learn how to socialize with other children. Ginger Johnson, a certified early childhood teacher with her own preschool, oversees our infant/toddler room. This age often has difficulty separating from parents, so our goal is to help our youngest learn that church is a safe place and a place to make new friends. The Toddler Room is located on the lower level of the FAITH center. 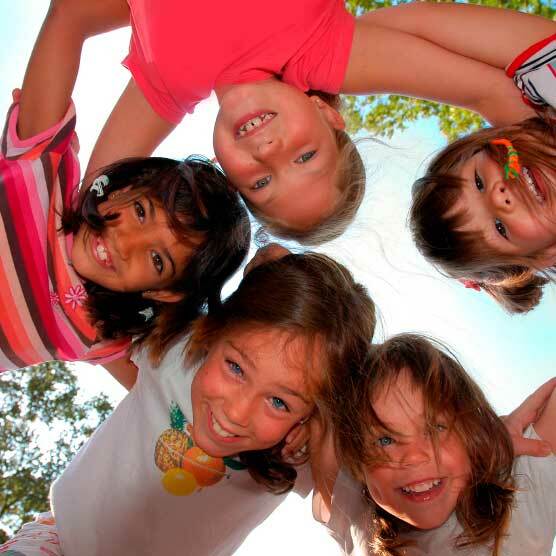 For our school age children, Sunday meetings occur at the same time as worship, 10:30 – 11:30am. Meetings nurture youths’ spiritual growth and teach them about leading a Christian life. Each group follows grade-appropriate curriculum that teaches stories and values, and engages youth in faith exploration. The 4th Sunday of each month is “SERVE Sunday” when all children and youth (1st -12th grades) choose from several service opportunities and work on one. This is an opportunity for young people to experience the doing of Christianity. Sunday meetings are the 2nd thru 5th Sundays of the month. Middle School meets in the Faith Cave and High School in the Grace Gallery. Photo Permission (to take photos for use in promotional materials without individual identification):pick one! Permission to leave church grounds with adult supervision during Sunday School with advance notice/invitation to parents:pick one! Do you grant the Revs. Matthew Benz-Whittington and Deborah Voss permission to text your youth for purposes solely related to youth group activities? *pick one! *The Staff and CE Board are currently working on policies and guidelines for texting between staff and members of youth group. Please contact them with any questions. For questions about registration, please contact Revs. Deborah Voss or Matthew Benz-Whittington. Youth Group is a creative time for games, silly skits, music, art, and activities to fill the need for fun, community, and personal growth. We use the “Serendipity” model that believes, “Youth Ministry is about people not programs; relationships not religion; a new, radical, life-changing faith, not a tired old gutless religious tradition. Youth are looking for a choice not a compromise.” Youth forge and deepen friendships, discover themselves, and talk about life. Youth Group meets after church for pizza at 11:30am and activities from 12pm – 1:30pm. The high school group meets the first Sunday each month, and the middle school group meets the 2nd Sunday. Movie nights are a staple in the community. They run from 6:30 – 9pm on the first Friday each month (except January). Adult Leaders arrive at 6pm to prepare. Youth put movie suggestions in a box, and they are drawn at the end of each movie night for the next month. Friday, September 1st; Friday, October 6th; Friday November 3rd; Friday, December 1st; Friday, January 12th (2nd Friday); Friday, February 2nd; Friday, March 2nd; Friday, April 6th; Friday, May 4th. Middle schoolers undergo an in-depth exploration of Jesus, his life, and his times. We hope that by graduation they have internalized Jesus’ teachings of love and inclusion, are forming a personal relationship with Jesus, and begin to experience their faith with God. Core Components of the ministry: weekly Sunday School or worship, monthly Youth Group, monthly movie nights, youth retreats at La Foret each semester, special events throughout the year. 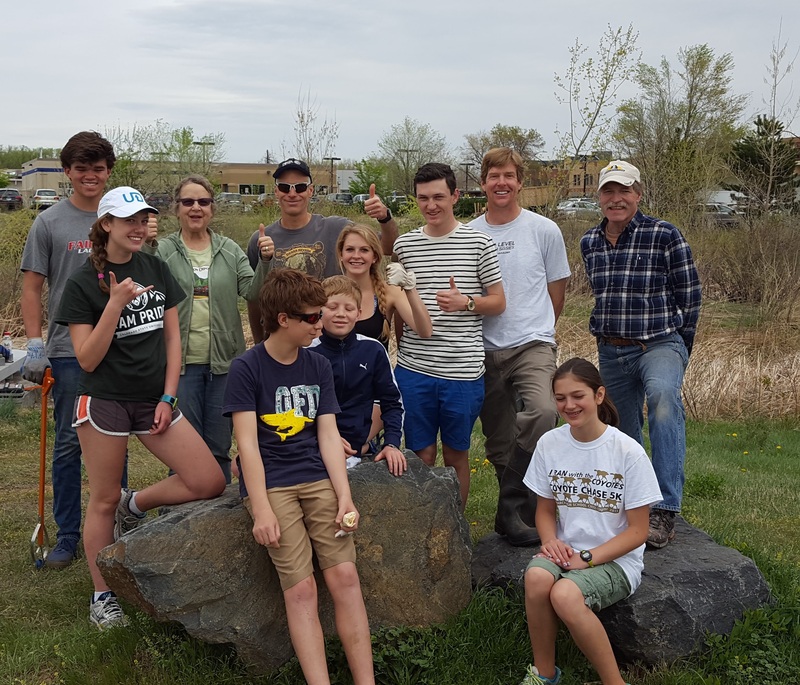 Youth pick from 5 different service projects as a way to put our faith to practice. Past projects: writing care cards to church members, assembling care packages for homeless, making posters for food or clothing drives (then delivering the following month), making food, preparing for Soup Kitchen, etc. Youth meet in their regular rooms at 10:30am, then go to service projects. This year’s projects TBD. This year we’re enriching the ministry with more opportunities for deepening faith and friendships. One highlight is that Sunday mornings focus on spiritual growth and monthly Youth Groups focus on community bonding. In addition, all youth attend worship the first Sunday of each month to be an integral part of the life of our church. 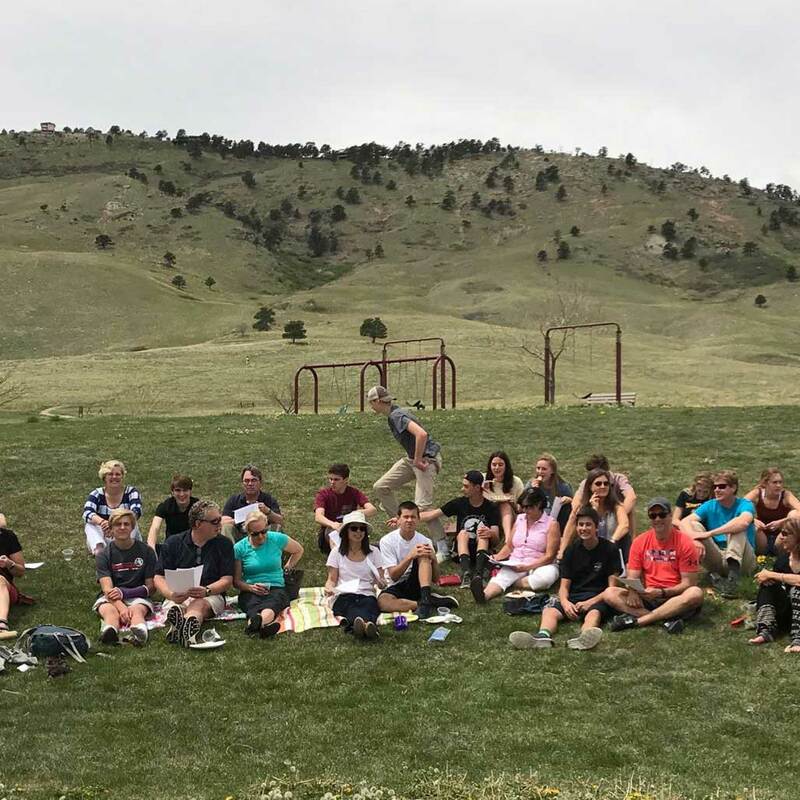 Every year the High School students go out into the world and learn to serve God’s people in diverse walks of life through this week-long immersion. This year we will go to Heifer International to learn about ecological sustainability, global economics, and raw resources.